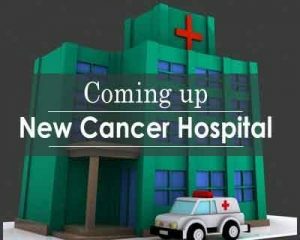 Mumbai: In a major boost for oncology treatment, the Kokilaben Dhirubhai Ambani Hospital (KDAH), Andheri, here will set up 18 sophisticated cancer care centres in mofussil areas, a top official said here on Saturday. KDAH Chairperson Tina Ambani also announced the launch of Edge Radiosurgery system — a first in South Asia — to offer a precise, non-invasive alternative to conventional cancer surgery. “The launch of Edge and 18 cancer centres in Maharashtra not only represents a significant milestone in our journey but reaffirms KDAH’s endeavour to make international innovations available and accessible to all Indians,” Tina Ambani said on the occasion. She described cancer as “one of the biggest public health challenges of our times” which the KDAH was ready to tackle head on with its medical talent and world-class technology as part of its focus on advancing healthcare technologies and medical excellent to facilitate healthcare access in the country. Lauding the KDAH move, Chief Minister Devendra Fadnavis said it would take the fight against cancer to the next level and the state needs many more such institutes to take the initiative in advancement in healthcare. “The launch of Edge is important because the precision technology will not only bring down cost but also reduce the pain and trauma of the patients and their families. KDAH has become a technological milestone in the country,” Fadnavis said. The Reliance Group’s KDAH will acquire 18 advanced TrueBeam medical linear accelerators to equip the new cancer centres in Maharashtra, the first of which are likely to be operational in Akola, Gondia and Solapur in 2017, and the rest will roll out in a couple of years. The evolution in advanced surgery was facilitated in the presence of internationally renowned radiation oncology specialists — Dr. M. Salim U. Siddiqui from Henry Ford Health System, Detroit, USA and Prof. Carlo Greco, Managing Director and Director of Clinical Research, Champalimaud Centre for the Unknown, Lisbon, Portugal. The two medicos Siddiqui and Greco are in India to share their knowledge and expertise in the new technology among leading oncologists from India. Explaining the benefits of Edge Radiosurgery, KDAH’s head of Radiation Oncology Dr. Kaustav Talapatra said its a non-invasive technique using a GPS-enabled tracking device that helps the radiologist constantly track the movement of affected cells even as treatment is being delivered, allowing treatment with a high degree of accuracy. “This precision radiation provides huge advantages in term of convenience, cost and comfort for patients as the number of sessions reduces significantly, with no incision or hospital stay, thereby enabling them to return to their normal lives within 15-30 minutes or less,” Talapatra said. Ashok Kakkar, Sr. MD, Varian India which is the market and technology leader in radiotherapy and radiosurgery systems, said KDAH’s plan to install 18 TrueBeam machines is the largest, one-time commitment by any single institute. “This is a major investment program by KDAH to remain ahead of the curve in adopting latest technologies in line with the best global practises in the area of Cancer care across the state of Maharashtra,” Kakkar said. KDAH’s Centre for Cancer deals with the widest range of cancers and brings together multidisciplinary expertise under a single roof to offer a broad scope of cancer services, public education, screening, diagnosis, treatment, pain management and palliative care. According to National Cancer Institute, a whopping 1.25 million new cancer cases are reported every year in India, but there are only a few comprehensive cancer care centres in the country, with a majority located in the metros.